What would you like to know about Santeria, Yoruba, Orisha worship? The Orisha traditions are absolutely beautiful and although there is a lot of information out there… there is still a lot of mystery cloaking our traditions and there is ohhhh so much that a newbie would love to know. So, if you are an aleyo (very new to our traditions)… What would you like to know? What? You’re not an aleyo? You’ve initiated? 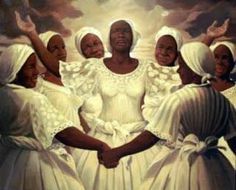 Do you remember not knowing anything of anything, and hoping that you totally wish you would have learned when you were getting all spiritual with the Orishas? What books were you reading? What would have saved you time, money and frankly frustrations? Let me know by clicking here which will guide you to a super quick survey! Want to be the first to know what’s going on With Olubunmi Creations? Sign up for our VIP list!